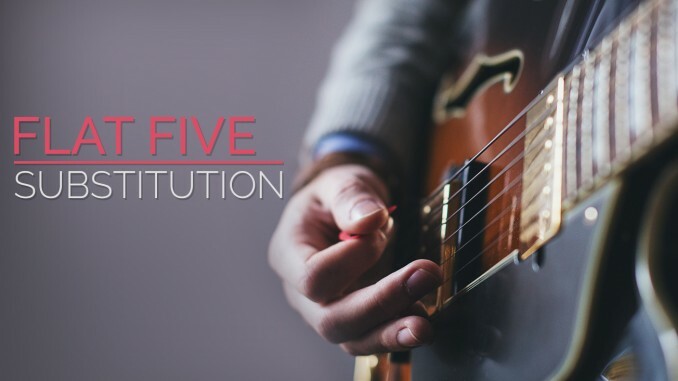 The flat five substitution is a chord that you can use as a substitute for any dominant chord. It applies very nicely to the 12 Bar Blues, because of the use of Dominant 7th chords. Enough chit chat, lets get to the facts. When you play a dominant chord there will always be a chord that you can substitute for it and still hace it sound good. That substitute chord is a diminished 5th above the the original chord. So if you are playing an E7, the substituted note would be Bb7. It is called a Flat-Five Substitute because if you are in the key of E the V note is B, and the bV is Bb hence the name Flat-Five. The Flat-Five chord substitutes so nicely because of the notes which are contained in the original chord and the Flat-Five chord. Let’s look at the notes in each chord. If you will notice, the 3 note and the b7 note are the same notes but switched around the chords. Remember that Ab = G#. That is why the chords can be substituted for each other. The reason that the notes are the same is because the interval between the 3 note and the b7 note is a diminished 5th (also called the tritone). The neat thing about the tritone is that it divides the root note and octave in half. In other words, It is the same distance from the root note as it is from the root note’s octave. This is why you can get the same notes for both chords. Because all dominant chords (7th, 9th, or 13th) must contain the 3 and b7 notes, this subtitution process works every time. Another great thing about this substitution process is that you do not have to substitute a Dominant 7th chord for a Dominant 7th chord. You can substitute any dominant chord for any other dominant chord. For example you can substitute a Bb13 for a E9 chord. 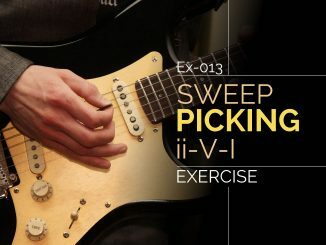 For even more possibilities, you can substitute a dominant chord with a flat-five note added. For example, you can substitute an E13b5 for a E7, or you can substitute a Bb13b5 for an E7. You can do this because Bb and E are tritones of each other. In other words, they are a diminished 5th from each other so the note that is a b5 of Bb is E, and the note that is a b5 of E is Bb. If you did not know it already, this is the reason that the blues scale has a #4/b5 note added to it. This lesson should really broaden your playing vocabulary. 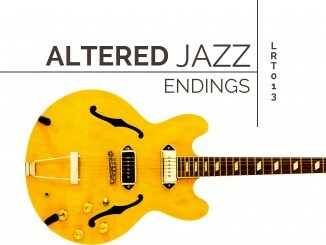 It will really help you if you are a jazz or blues player who uses a lot of Dominant chords. Do you have any examples of chord progressions using this substitution? It would be great to have some to look at/try out. 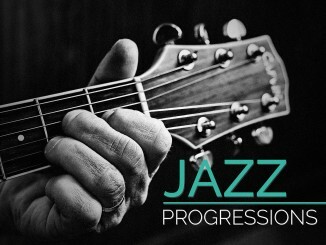 Toby, I am working on an update to this lesson that includes example progressions. It isn’t ready yet. In the meantime, use the links in my sidebar to follow me on facebook and twitter. I will announce the updates there when they’re available. As I understand it, and keep in mind that I self learned Music Theory. Is that you take the 5th note of the Dominant Chord, flatten it then make it a dominant 7 and resolve to the tonic. At least, that’s one example I know of. It sounds very complicated, but chances are you’ve already used it, or at least sounded it out. Essentially what you are doing is a II7-I progression. Here is how you get to it, the way *I* understand it anyway. Let’s say you’re playing in Amaj. Take a basic I-IV-V progression. In “A” the dominant is “Emaj”. That makes E-G-B. You take the fifth of that cord and flatten it. That would be Bb. Now all you have to do is make that a Dominant 7 and resolve back to the tonic. I hope that is right and that it helps. Scott, this was a great comment and you are mostly correct! Yes, the easy way to do a flat-five substitution is to lower the V7 chord a half step to the bV7. This will resolve very nicely to the tonic (aka. I chord). In fact, all four notes are a half step from the IMaj7 chord tones for a very strong resolution! The II7-I comment is not exactly correct, but you’re in the ballpark. The flat II7 (bII7) shares 3 out of 4 notes with the bV7 and the 4th note resolves to the IMaj7 just as well. It can be used in a similar way, but it is not the same substitution. The flat five is often used in a ii-V-I progression. You can get a chromatic line by playing iim7-bV7-I. Let’s look at the notes from the key of C. iim7 (D,F,A,C), bV7 (Gb,Bb,Db,F), I (C,E,G,B). Notice how every note in the iim7 is within a half step of every note in the bV7. The same holds true with the bV7 to the I. The cool thing is that you can play this in a very tight space on the guitar neck.